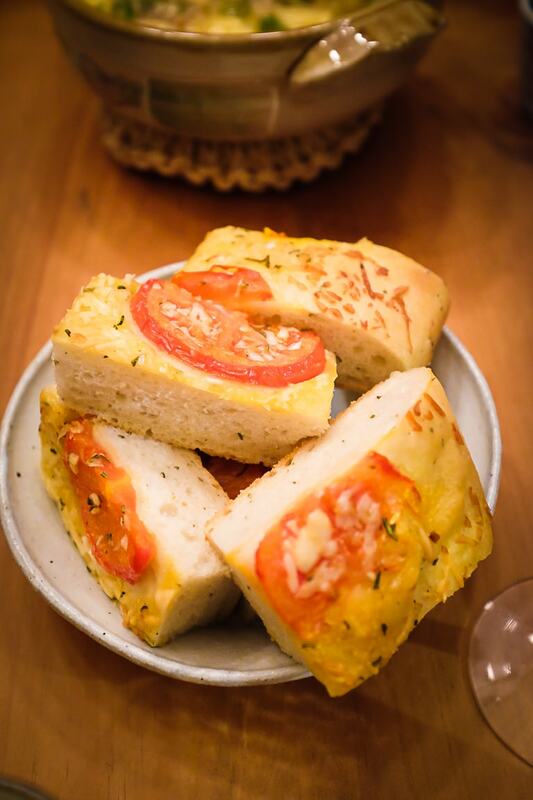 こんばんは。Here are some photos of tonight’s dinner: cioppino and focaccia. My wife had a couple friends over for “Girls’ Night” which means there’s guaranteed to be yummy food. 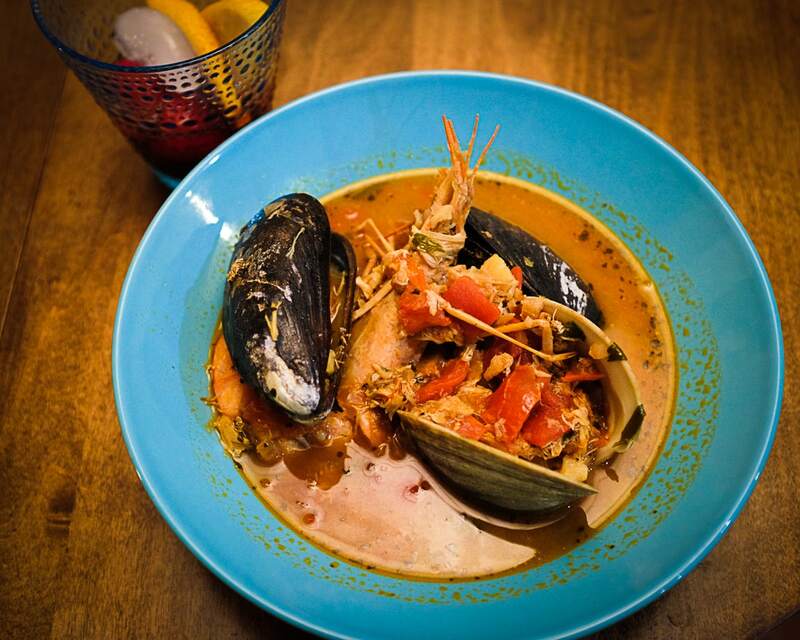 And the cioppino was amazing! 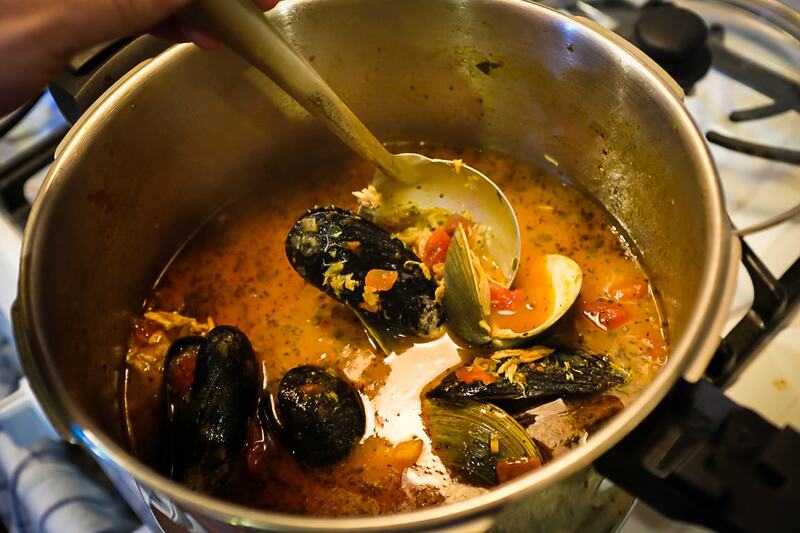 Mussels, clams, shrimp, crab, and fish in a warm broth, and homemade focaccia bread for dipping. I had three bowls of cioppino!